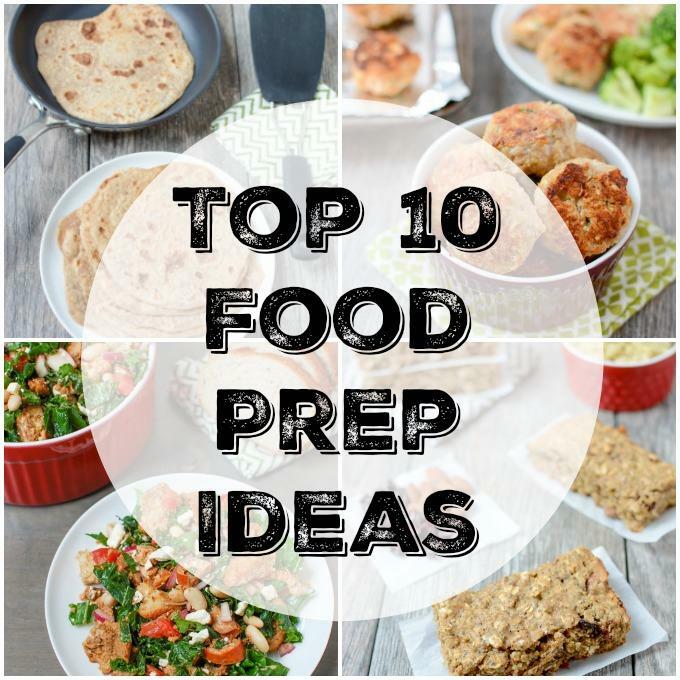 Here are the Top 10 Foods For Sunday Food Prep! Prep these individual meal components ahead of time and combine them throughout the week into quick healthy meals your family will love. 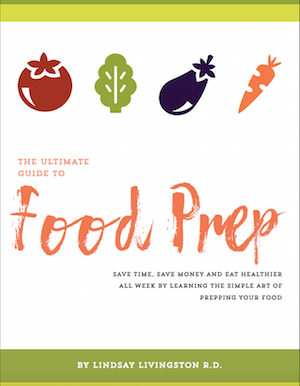 Let’s talk about food prep, shall we? If you’ve been around for any length of time, you know I’m a huge fan of food prep. If you like the idea of food prep but you’re not sure how to start, check out these 5 Steps to Food Prep. Over the past five or six years, I’ve refined my personal food prep process and it’s definitely become a habit to head to the kitchen every weekend and get our fridge stocked and ready for the week. I love that food prep has gained popularity over the past few years and I also love that it doesn’t have to look the same for everyone. Some people prefer to prep full meals while others, like me, prefer to prep components that can be thrown together to make quick, healthy meals during the week. Here’s an example of a week of component food prep and how to use it. And if you find yourself avoiding food prep because it seems overwhelming, here’s How to Find Your Food Prep Focus Area. 1) Snacking veggies– Raw veggies make a great snack. They’re easy to prep ahead of time and you can throw them in your lunch box, the kids from munch on them after school or you can enjoy some while making dinner! I prep a container of snacking veggies every weekend and pull it out every day while prepping lunch and dinner. I’ve found myself eating more of them just because they’re there and even my four-year-old will grab a few carrots if he’s in the mood. I refill this container several times throughout the week. Some of our favorites are carrots, bell peppers and cucumbers. You could also try broccoli, snap peas, celery, radishes, etc. They’re great with hummus, yogurt ranch dip, or Italian dressing. If your veggies start to look a little dried out, fill the container with water and drain it out to refresh them! 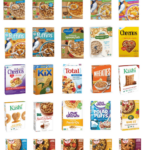 2) Breakfast Foods– There are tons of great breakfast options that you can make ahead of time so you don’t have to spend time cooking in the morning. This also gives you no excuse to skip breakfast! Make a batch of Quinoa Breakfast Bars, GF Pumpkin Yogurt Bars or Sweet Potato Protein Cookies and pre-portion them into bags so you can just grab one on the way to work. Pancakes and waffles can be made ahead of time and easily reheated. Try Butternut Squash Pancakes, Sweet Potato Waffles or Whole Wheat Yogurt Waffles. If you like eggs, try making some Egg Wraps or Egg Waffles that are easy to customize. If you like baked goods, make a batch of these Lentil Banana Muffins or these Zucchini Carrot Apple Muffins. You can find all my muffin recipes here. 3) Whole Grains – It’s easy to cook up a big batch of your favorite grain to have on hand. Cook it on Sunday and add to meals during the week. Try brown rice, quinoa, farro, amaranth, wheatberries, etc. You can use them as the base for power bowls, add them to soups, casseroles, burritos, stirfry and more. Also, don’t be afraid to make your own bread and tortillas. It’s easy to do and you know exactly what’s going into them. 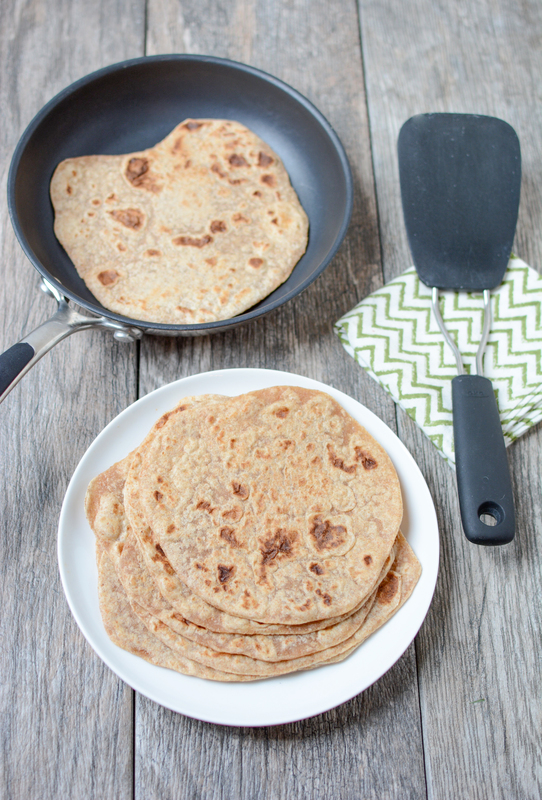 Try these Homemade Whole Wheat Tortillas or some Dutch Oven Bread! If you’re looking for more homemade bread recipes, I highly recommend the Artisan Bread in 5 Minutes Per Day cookbooks (aff link). 4) Snacks – Having healthy snacks on hand is crucial with two toddlers running around. When they want to eat, they want to eat NOW. 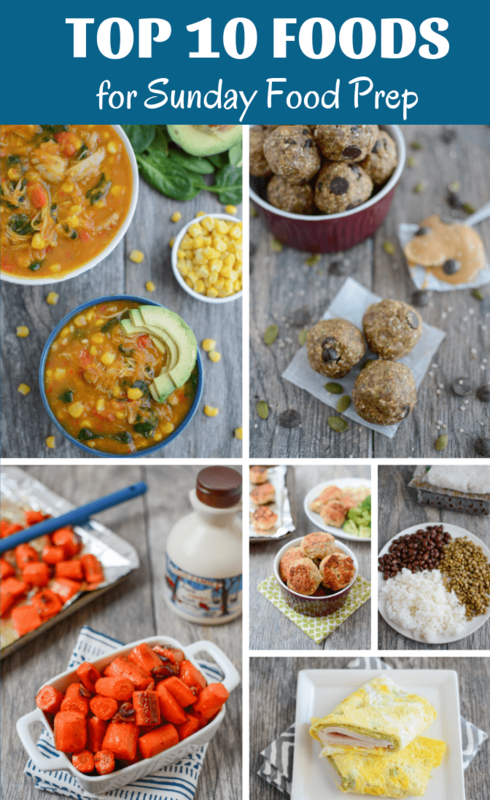 Some of my son’s favorites include Sweet Potato Bites, My Go-To Energy Balls or a smoothie with veggies. You can make smoothie packs to stock your freezer so all you have to do is dump and blend. Some of my favorites include Sweet Potato Protein Cookies, Chocolate Lentil Bars, Egg Wraps, and Pumpkin Gingerbread Muffins. 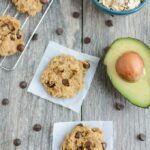 Check out all my snack recipes and for more ideas here are 25 Healthy After Work Snacks and 10 Healthy Toddler Snacks. 5) Greens for Salad– Prepping greens ahead of time makes it easy to throw together a side salad with meals or use greens as a base for a power bowl. You can use leaf lettuce, spinach, kale etc. To prepare my greens, I cut them, wash them well, spin them dry and store in a Ziploc bag with a paper towel. Make sure to press out as much air as possible each time you open the bag. If you’re prepping kale, wash and dry it, then rub it with some oil (and lemon juice if desired) and store in a bag or airtight container. Then you can quickly make this Kale Panzanella Salad to enjoy for several days. Use your greens as a base for loaded salads during the week. 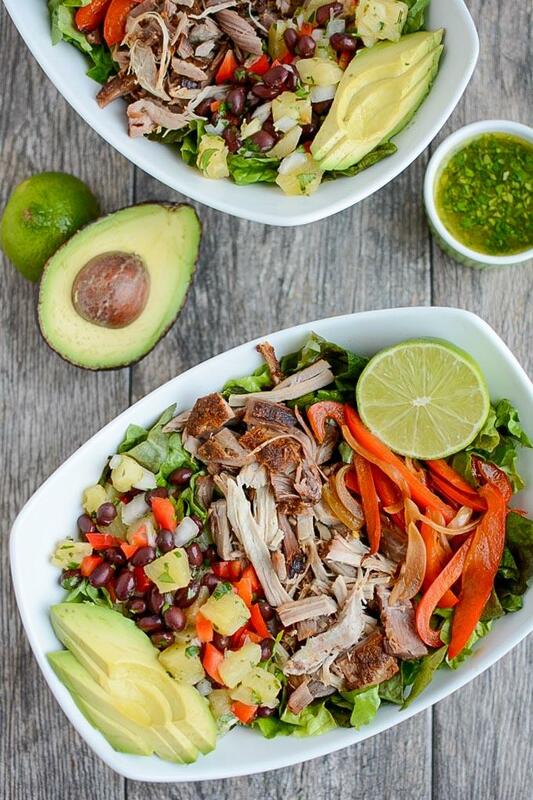 Try this Salmon Nicoise Salad, Pulled Pork Fajita Salad, or these 7 Easy Salads for Summer. 6) Baked/Roasted Veggies – Having veggies cooked and ready to eat makes it much more likely that I’ll add them to my meals during the week. Chop up some broccoli, potatoes, sweet potatoes or green beans and toss them on a pan. Spray with oil, season as desired and roast at 400/425 degrees for 10-25 minutes depending on the veggies. You can also toss in whole potatoes or sweet potatoes to roast. Other veggies like parsnips, carrots, peppers and more can also be roasted! You can use the potatoes for side dishes or a quick dinner like these Mexican Loaded Sweet Potatoes. Try roasting your veggies with a little bacon for extra flavor! Add them to main dishes, salads, etc during the week! 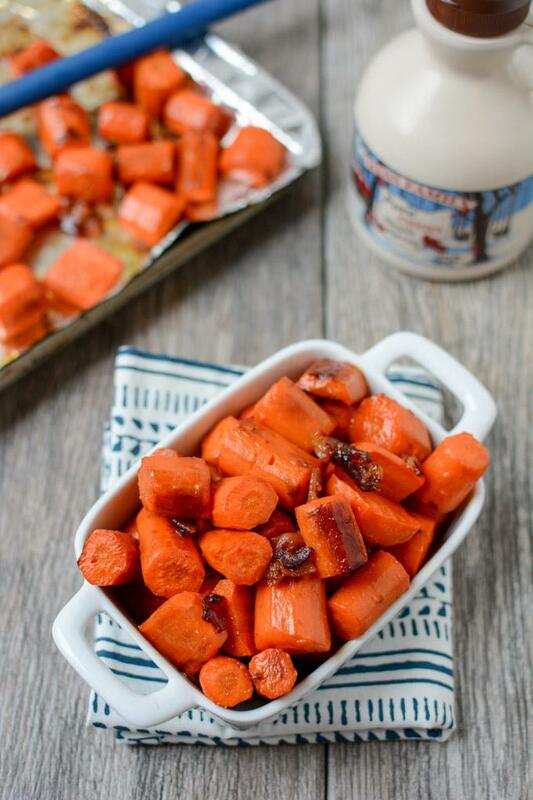 Or try these Maple Bacon Roasted Carrots or Roasted Green Beans with Ginger and Cranberries. 7) Lean Proteins – If you’re a meat-eater, why not cook some of your meat ahead of time for less weeknight cooking? 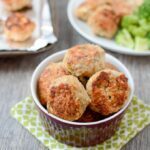 Try making a batch of burgers/cakes like these Avocado Chicken Burgers or some Thai Chicken Meatballs or Paleo Turkey Sweet Potato Meatballs. Put your crockpot or instant pot to good use and make some shredded chicken or try Persian Pulled Chicken or Slow Cooker Barbacoa. 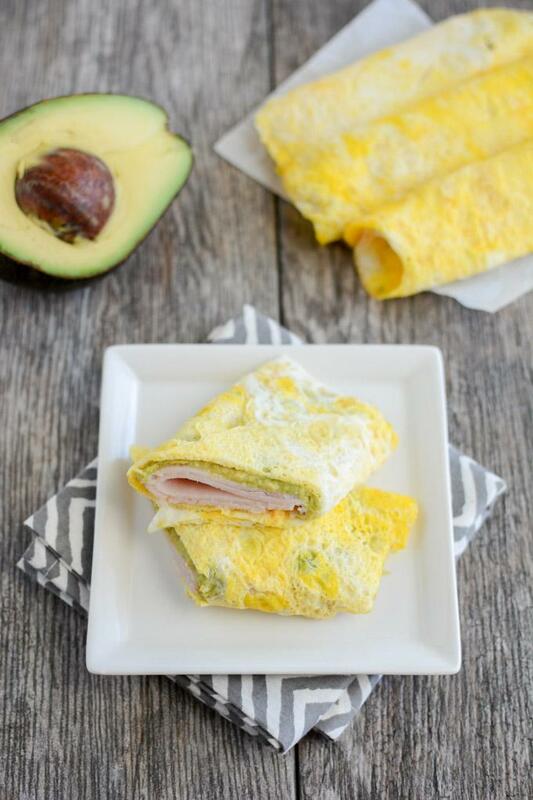 Use these cooked proteins during the week in sandwich wraps, on salads, in casseroles, etc! Try this Salsa Verde Chicken Casserole or Salsa Verde Pork Enchilada Casserole. You could also make those casseroles ahead of time and reheat during the week. Grill some steak and use the leftovers to make a Steak Cobb Salad. 8) Beans & Legumes – Even if you’re not a completely plant-based eater, it’s still a great idea to add some plant-based proteins to your diet. I buy dried beans, cook a whole bag at a time and freeze the extras. (Learn How To Cook & Freeze Beans here). 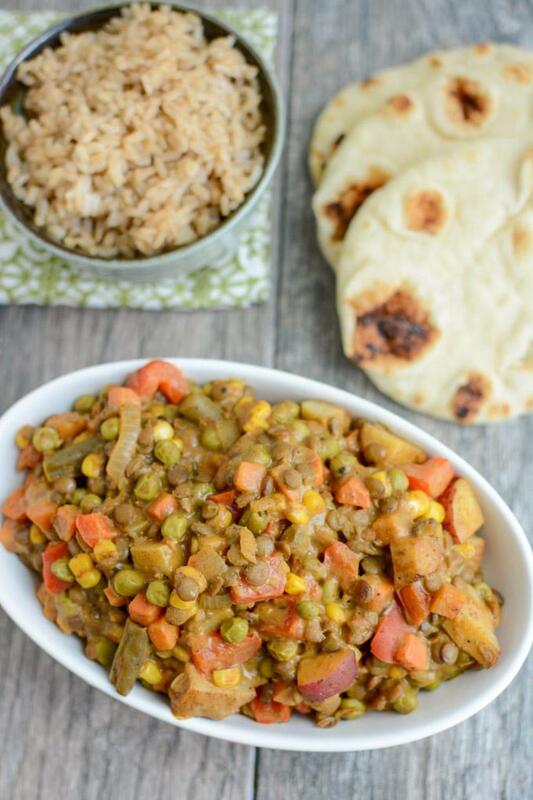 You can do the same thing with lentils! Then just pull them out when you need them and add them to whatever you’re cooking. You can add beans and legumes to casseroles and salads or use them to replace meat in your favorite dishes like this Lentil Veggie Mac and Cheese, Lentil Sloppy Joes or Lentil Veggie Curry. Try these Asian Black Bean Burgers for an easy weeknight dinner that you can make ahead of time or learn how to add beans to breakfast. You can even use them in baked goods. 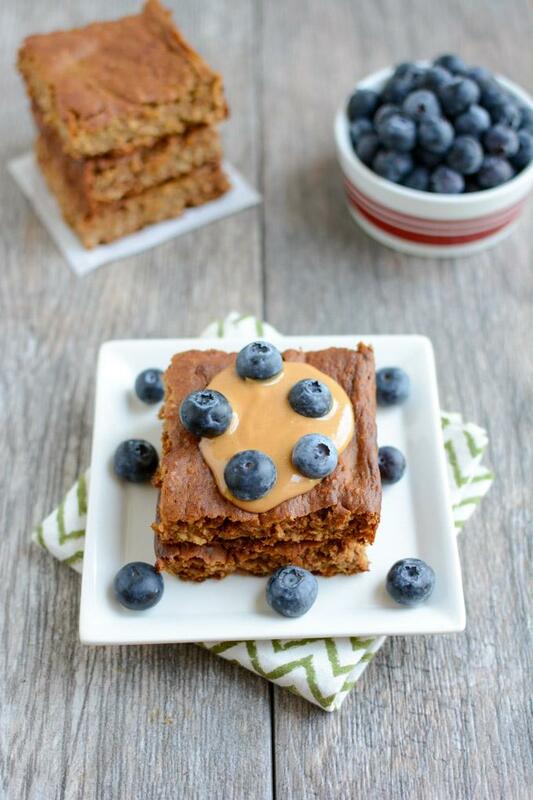 Try Lentil Banana Muffins, Chocolate Lentil Bars or Peanut Butter Chickpea Bars. 9) Soup – Soup is a great way to pack tons of nutrients into one easy meal. Choose low-sodium broth, or better yet- make your own. You can always make extra and freeze. Just defrost when needed! Add tons of veggies! Frozen veggies work great in soup and are packed with nutrients. Add some whole grains if you’d like! 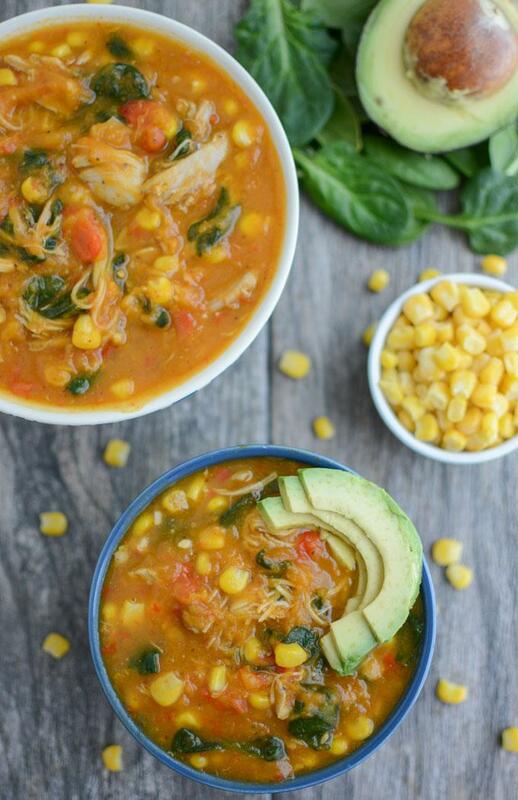 This Instant Pot Sweet Potato Chicken Soup, Curried Sweet Potato Soup and Sweet Potato Chicken Chili are some of our favs! 10) Eggs – These are great for almost any meal. Cook them on the stove or use the instant pot. Eat them for breakfast with some peanut butter toast. Grab a couple for an afternoon snack. 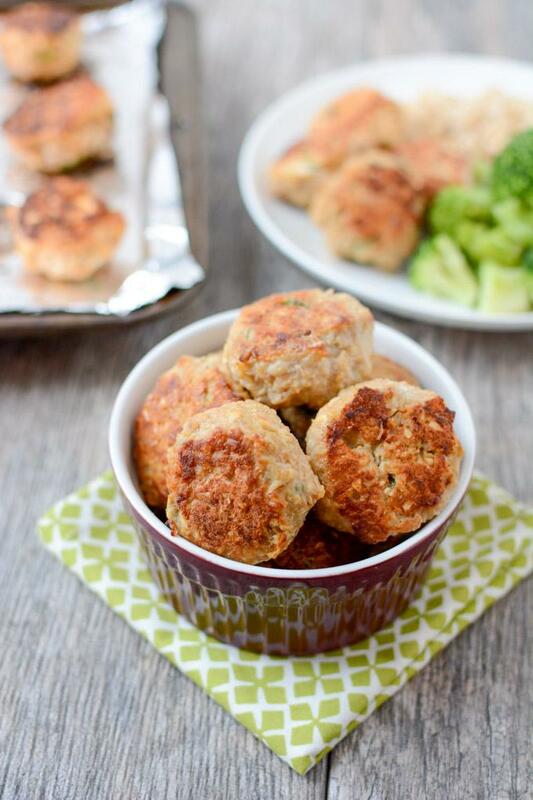 Slice them up and add to salads for lunch or dinner! You can also prep Egg Wraps or Egg Waffles for grab and go snacks. Of course, there are tons of other foods that can be prepped ahead of time for a healthy week…these are just some of my staples that I turn to week after week! 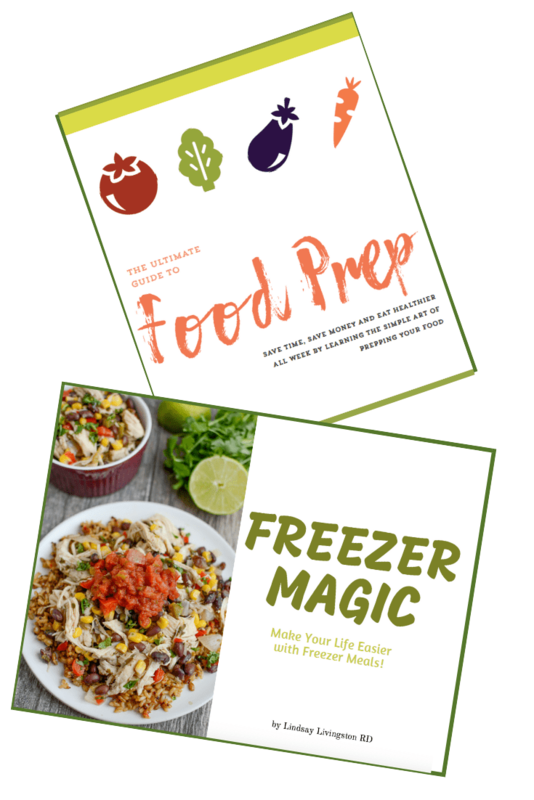 If you want to learn more about food prep, check out my ebooks: The Ultimate Guide to Food Prep and Freezer Magic! Stay tuned next week and I’ll share even more simple meal ideas to put your component food prep to good use! Can’t I just DOUBLE your prep and swing by real quick to pick up my portion? I promise to give Mr. Bean a high five or manly chest bump. I mean. It was. I usually prep 2 proteins and 2 carb sources over the weekend and some snacks! Sunday I roast sweet potatoes, boil eggs, cut up raw veggies, big pot of quinoa and lately “cheesy” sauce. I’ll also do baked oatmeal for my kids and some snarky things – muffins, granola bars or energy balls. Every week I say “I will do food prep this week!” and then I don’t…but mark my words….I will boil eggs Sunday to snack on throughout the week. I’ve been looking for some snack bars actually. Do you have any other recipes? I’ve made the one you have linked too. Actually, I’ll just go look at your recipe page. Great ideas Lindsay and thank you! I need to get me back on the BEANWAGON. Great ideas, especially the breakfast options. I always need a fast breakfast (or like this morning, will be taking it and eating at work), so simple ideas are needed. I otherwise tend to stick with the cereal and toast formula. Great ideas Lindsay! I use a lot of these, but you have given me some more to use! I didnt think about cooking the grains, without actually adding them to things. That part doesnt take long, rather than making the whole meal. I try to chop all the veggies and get all the ingredients into a salad that are not going to go soggy, and then add the wet stuff in another tub, and combine them on the day I need it! Works well! Preparing food saves so much time, and money too! You are just full of good ideas! Great list! I always roast squash for the week, but I need to get better at making some sort of grain and bars/muffins for the week. Awesome post!! 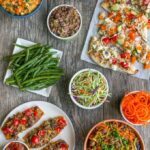 I do great with meal planning, but am not so good at doing some prep in advance… love these ideas! Fantastic list–one to tuck away for the weekend! Come spring, when our evenings are spent driving to and from kids sports, this will be very handy for me. Definitely proteins–I can get very lazy about cooking proteins in the moment–I will revert to easier fixes, like scrambled eggs, cottage cheese, TVP and tuna (which are all great). But now it is to the point of feeling like SUCH a treat when I have grilled chicken! How sad is that?! Love having squashes, etc, prepped, but I tend to zip through them so quickly when they are. My favorite things to have prepped are proteiny, healthy, low sugar snacky baked goods. Like my zucchini pumpkin goji muffins, which are my absolute favorites. They go with everything (sweet or savory), and I could NEVER feel bad about having one. These are awesome tips! It is so true that having healthy food prepped and readily available is the KEY to staying on track. 🙂 Washing/cutting all those yummy fresh foods right away will really help! LOVE this post! I really need to get better about food prepping. I know it would save me so much time!! you can do it! totally worth it! I’m usually so bad about doing this, but Sunday I baked and shredded some chicken, roasted sweet potatoes, and premade some breakfast sandwiches. It definitely saves time during the week! Can’t wait to use your suggestions for inspiration in the week ahead! So many great ideas–I do find myself stuck sometimes, it’s nice to have inspiration. I absolutely love these tips Lindsay! I’ve been wanting to try and get better at food prep on the weekends, so this is going to be a huge help to me! 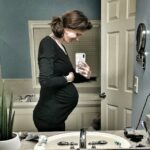 Such a great (and very useful) post, Lindsay! Eggs, chopped veggies, washed greens, and cooked lean proteins are some of my must-do’s at the beginning of the week. Having them ready cuts so much time off of getting meals cooked later on! Great ideas! I also like preping whole grain muffins. It is another way of getting your whole grains portions on the go! Great ideas! I love Sunday food prep! These are all awesome ideas! My mom and I usually prep soft-boiled eggs, fresh cut veggies, baked salmon or grilled chicken, quinoa/farro/brown rice, breakfast muffins/oatmeal bakes, sandwiches, and sometimes pasta. Prepping truly does make healthy food choices a heck of a lot easier throughout the week! Almost every weekend I hardboil eggs in the oven and put chicken breasts in the crockpot for shredded chicken. It really helps to have that available (ex: I was out of town this weekend and it has been really annoying to not have those things for lunches this week). i know what you mean! frustrating when you get used to having them and then don’t! Great post, Lindsay. It’s always good to prep food ahead of time. Great ideas! This is so helpful, Lindsay! 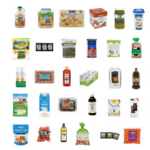 Months ago, I went through and created my own list of what looked like your favorite meal prep dishes, but this is much easier and more comprehensive. Thank you for putting the time and effort into creating this post! Thanks for these tips and ideas! 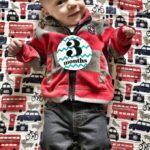 I feel like it’s a great starting point for someone who wants to start planing – like me! Thank you! Love this post! So many great tips and tricks – definitely learned a thing or ten! And speaking of food prep, I was on the lookout for snack ideas so I searched your recipes. 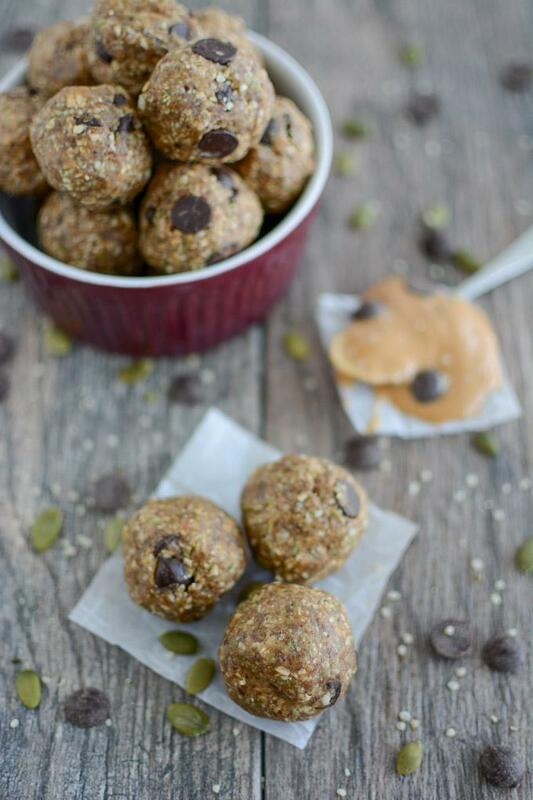 And I made your no bake chocolate PB oatmeal balls…SO good. Both Vishnu and I can’t stop eating them! Amen, Sista! Food prep saves my life and allows me to have a stress free week. Love the post- you rock! Food prep is the best! I love how you took the time to list all these suggestions. I know so many people need help when it comes to this and probably really appreciate this 🙂 Just stoppin by one of my favorites! Have a great week! i like to roast a lot of veggies, and generally make a soup for lunches and egg frittata for breakfasts every week. haha fist bump right back at ya! Seriously, you are the Master Food Prepper! What an awesome awesome list! Thanks so much for sharing. I’ve been getting better with my weekly food prep and this helps with more ideas. I think proteins and veggies would be best thing for me to prep! They take the longest. Awesome list! I’ll have to bookmark this post because I always need more ideas for meals! I usually get fruits and veggies all ready for school lunches. Great list! Sometimes I try to do too much and get overwhelmed meal prepping so it’s nice to be reminded to keep it simple! I always make sure to have a bunch of protein cooked up! I find I can make a quick meal as long as the meat is cooked. This is so great…I’m hoping that it spurs me into a bit of planning tomorrow! Thanks for sharing all your great ideas. It is funny to read your posts on Sunday Food Prep because I have been doing for about 3 years now. I believe I got the idea from a Family magazine geared to mothers who work. I am single but I work full time and commute 2 hours a day in addition to work plus trying to fit in exercise so that leaves little time to cook good meals. So, I cook for the week. This Sunday I made homemade wheat bread, roasted beets, marinaded a chicken to bake Monday, baked a egg casserole for breakfast, boiled some eggs and cooked dinner for that night…Szechuan Green Beans and ground pork which I have leftovers for the week. I make salad dressing too which helps with salads during the week. If I bake something quick during the week I do try to do it while I am exercising. Buen Provecho! I typically use the microwave…they won’t be crispy anymore after the first day but still taste good. Wow this is awesome! Love all your ideas, I’m looking to get started with food prep, but I’m wondering how long do you usually keep your grains for? I’m wanting to make them for the week and I see tonnes of photos with people spreading out their lunch boxes etc, but I was wondering can I actually make it for this long in advance? i usually don’t make more than we can eat in about 4 days! Great, thanks for your reply Lindsay! 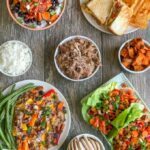 This is the single greatest meal prep list I’ve seen in a long time! Your writing is so clear and concise. This is going to help me and family a lot, especially since we are struggling with quick breakfast options at the moment. Greatly appreciated! Glad I found your site. Question — on changing the carrot water when storing in the refrigerator — why do you do that? I just do it to keep things fresh! It gets kinda orange after a couple days so it’s nice to freshen up the carrots with a quick rinse and some fresh water every couple days! I totally agree with the idea for chopping up and washing greens for salads… I quite often back off from adding it as a side as aww, I should still wash it and chop it (and add olive oil, vinegar, salt…) Thank you for all the ideas! It’s so refreshing to see someone so genuinely passionate about sharing their love of food prep. I have created a blog http://www.foodprepsundays.com dedicated to this mission 🙂 However, I am yet to post tips on snacking prep etc. This is an absolutely brilliant article. Thank you for sharing it with us. I look forward to receiving more inspo from your mail list. i need to get a salad spinner – i never prep greens because i don’t want it to get soggy (or moldy??) but i think this would definitely help! So many great tips and ideas! What a fantastic resource! Meal prep is my #1 tip to anyone trying to lose weight or just eat healthier. I especially love your snack ideas, which are always the toughest for me to think up new recipes for. [WORDPRESS HASHCASH] The comment’s server IP (192.0.81.103) doesn’t match the comment’s URL host IP (66.155.9.238) and so is spam. [WORDPRESS HASHCASH] The comment’s server IP (66.155.38.9) doesn’t match the comment’s URL host IP (76.74.254.123) and so is spam. [WORDPRESS HASHCASH] The comment’s server IP (64.90.40.253) doesn’t match the comment’s URL host IP (108.162.197.39) and so is spam. [WORDPRESS HASHCASH] The comment’s server IP (192.0.83.167) doesn’t match the comment’s URL host IP (192.0.80.250) and so is spam. [WORDPRESS HASHCASH] The comment’s server IP (66.155.38.17) doesn’t match the comment’s URL host IP (66.155.11.238) and so is spam. [WORDPRESS HASHCASH] The comment’s server IP (66.155.9.144) doesn’t match the comment’s URL host IP (66.155.11.238) and so is spam. [WORDPRESS HASHCASH] The comment’s server IP (192.0.81.188) doesn’t match the comment’s URL host IP (192.0.78.16) and so is spam. 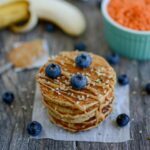 [WORDPRESS HASHCASH] The comment’s actual post text did not contain your blog url (https://www.theleangreenbean.com/top-10-foods-for-sunday-food-prep) and so is spam.